"Equality and Discrimination in Europe"
AileenMcColgan's research is in the area of equality/ discrimination and human rights. She has published widely in these subject areas as well as more generally in labour and criminal law and evidence. Professor McColgan, a graduate of Trinity College Cambridge and Edinburgh University, joined the Kings College London in August 1991. She became Professor of Human Rights Law in 2001. She is a barrister at 11KBW and is involved in litigation and policy work. 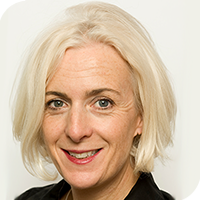 Professor McColgan was the British expert on the EU Commission's networks of gender equality law and non-discrimination law experts until 2016 and has undertaken extensive research into discrimination and harassment at the European level. Aileen is particularly interested in equality/discrimination in which she is recognised internationally as a leading academic in the field. She is also actively involved in privacy, data protection and freedom of information work. Her recent publications include Discrimination, Equality and the Law (Hart: 2016).